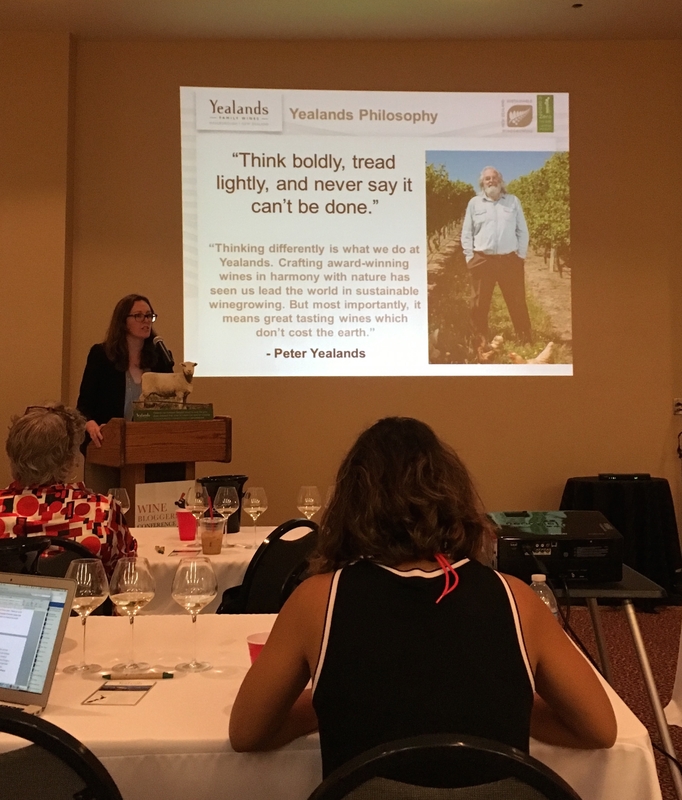 Sustainability and winemaking are not mutually exclusive, and Peter Yealands of Yealands Estate Winery has proven this time and again at his winemaking facility in Marlborough, New Zealand. 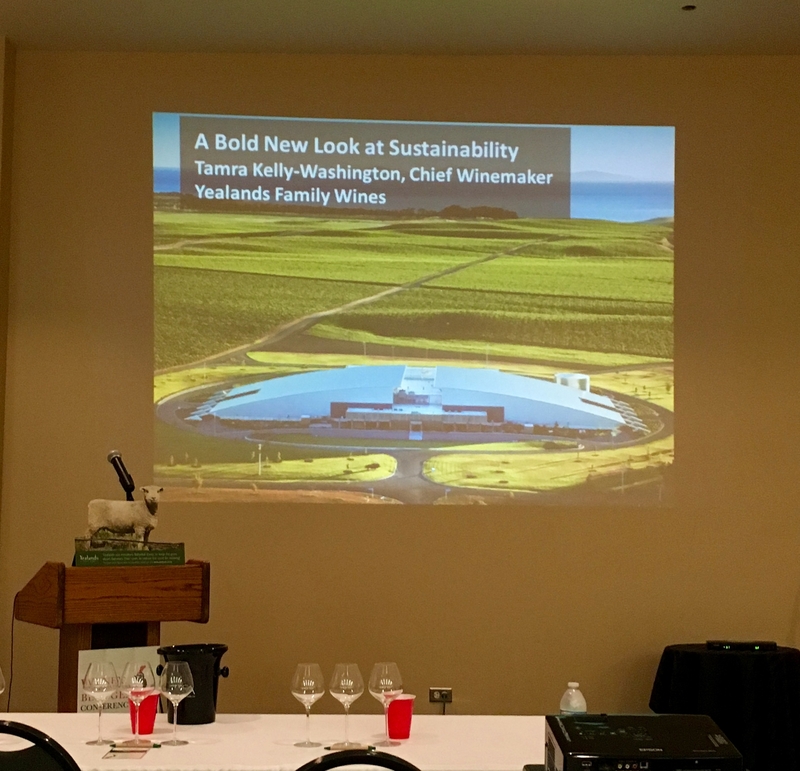 His winemaker, Tamra Kelly-Washington, gave a delightful talk at the Wine Bloggers Conference 2016 in Lodi, California about the efforts Peter and his team have made to create a fully sustainability winemaking operation. Yealands Estate Winery is located on the northern tip of the southern island of New Zealand (no, we haven’t been but it’s on the bucket list now!) and features a state-of-the-art operation that puts innovation at the heart of winemaking. According to Kelly-Washington, Peter Yealands is “always trying to push the limits of the winery” with new ideas and methods for conservation and cultivation. The winery recycles all of its waste, including recycling water that goes right back into the vineyard itself. 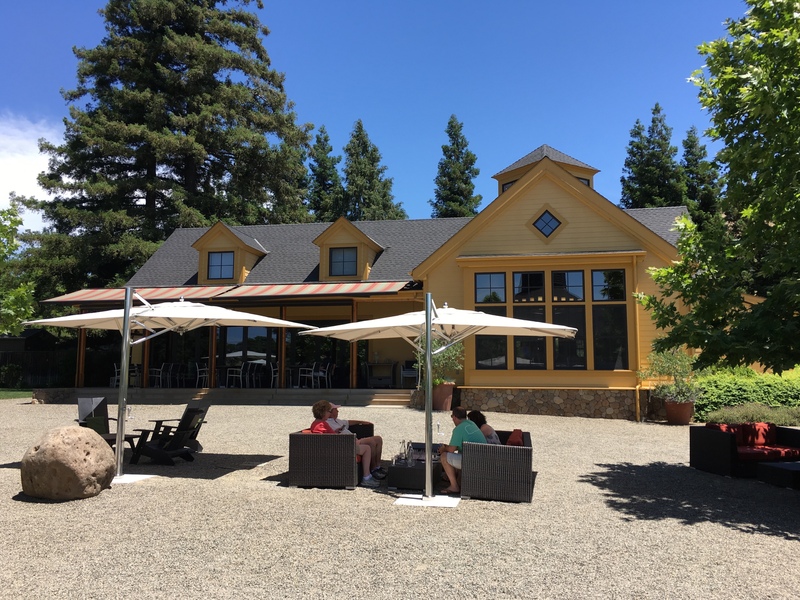 The winery uses one-fourth of the energy to heat and cools its winemaking facilities than other wineries. 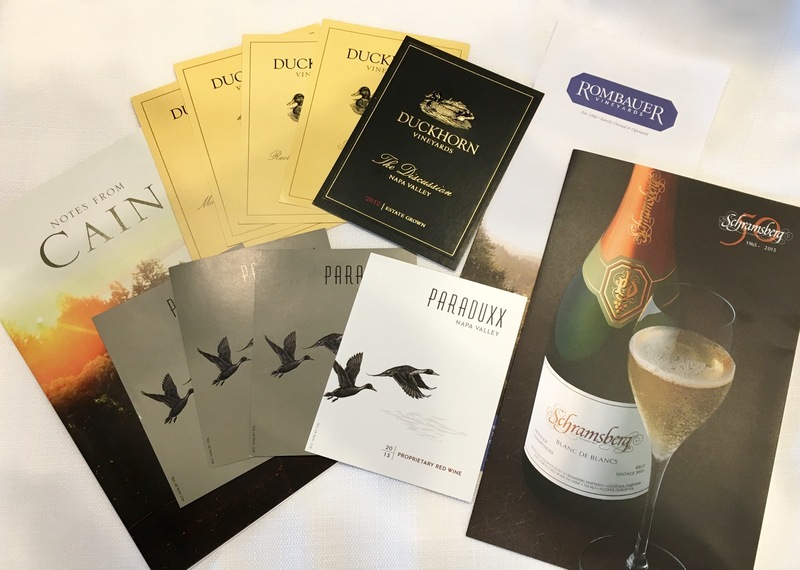 Even the wine bottles themselves include sustainable features such as screw tops, lighter glass, and recycled materials in the labels and packaging. 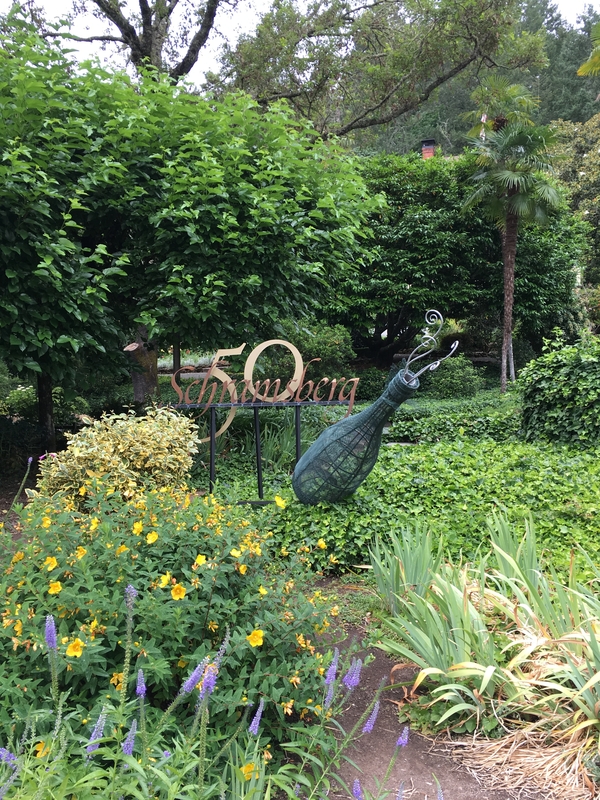 Massive composting efforts have had a positive impact on wine quality. The winery produces 50,000 tons of compost per year and includes rich nutrients from grapes, mussels, lye, seaweed, and sand. Composting is such an integral part of the winemaking process at Yealands Estate that the winery employs four full time composters to manage the operation. Kelly-Washington claims that grape quality has improved since the institution of composting four years ago. Yealands Estate Winery is a model of creativity when it comes to earth-friendly solutions. 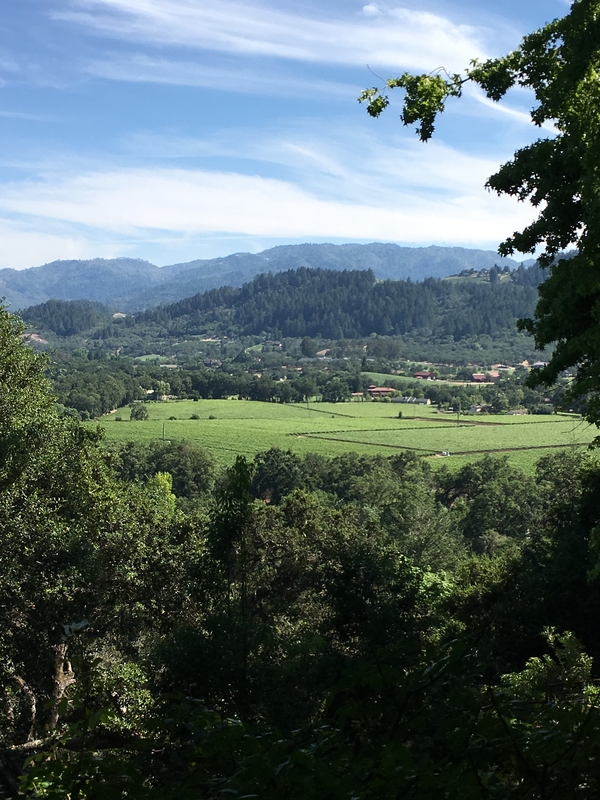 Kelly-Washington shared a surprising story for solving the winery’s biggest problem – weed control in the vineyard. The solution Peter Yealands devised has put the winery on the map. A herd of Babydoll Sheep roam throughout the vineyard nibbling on patches of weeds. The breed is short enough that they don’t disturb the grape vines themselves and subsequently contribute to the unique set of sustainable solutions pioneered at Yealands Estate. If you think sheep is an innovative idea try to imagine Peter Yealands first iteration – guinea pigs! Our amateur wine tasting status means that you can count on honest reflections about the wines we sample. As we learn more, so will you, and we hope you’ll add your comments here at Valley Crush. You can read our tasting notes and tasting experiences in the wineries tab. Cheers! Author adminPosted on Categories Tasting NotesLeave a comment on Interested in Tasting Notes? Before taking Introduction to Sensory Evaluation of Wine at UC Davis, I thought of taste as a rather two-dimensional trait. Something either tasted good, or it didn’t. Yes, I could evaluate the flavors (to a certain degree) but taste in wine really came down to whether I liked it or not. Don’t get me wrong, whether or not you like how a wine tastes should be a major factor in what you drink, but there’s more going on in our mouths than meets the eye, or tongue as it were. Our taste buds give us a great deal of information about the wine we drink, but they can be easily fooled. The alcohol content of a wine influences our perception of its sweetness. High alcohol means high sweetness and fruitiness, at least it tastes that way. But as the title of this post suggests, there’s more to wine than what our taste buds are telling us. Another factor we should pay attention to when wine tasting is the mouthfeel the wine has to offer. Mouthfeel is a term that refers to the oral sensations we feel when tasting. Not flavor, but other traits in the wine such as texture, sharpness, softness, temperature, and astringency. Astringency, for example, refers to that dry feeling we get in our mouths when we taste red wine. The dryness is caused by the tannins in the grape skins of red grapes. The effect that tannins have on our mouths is cumulative, so if you’re settling in for a marathon tasting be sure to take breaks and cleanse your palate or you won’t be able to trust that tongue of yours. Next time you enjoy a glass of vino pay attention to the play of your tongue as the wine moves around your mouth. See what you can pick up that goes beyond your first taste impressions. This summer I was lucky enough to take a wine course at UC Davis called Introduction to Sensory Evaluation of Wine. I learned so much! I’ll be sharing what I took away from the course here at Valley Crush, but I encourage you to sign up for the course yourself. There’s always more to learn, and more wine to drink! Intro. to Sensory Eval. 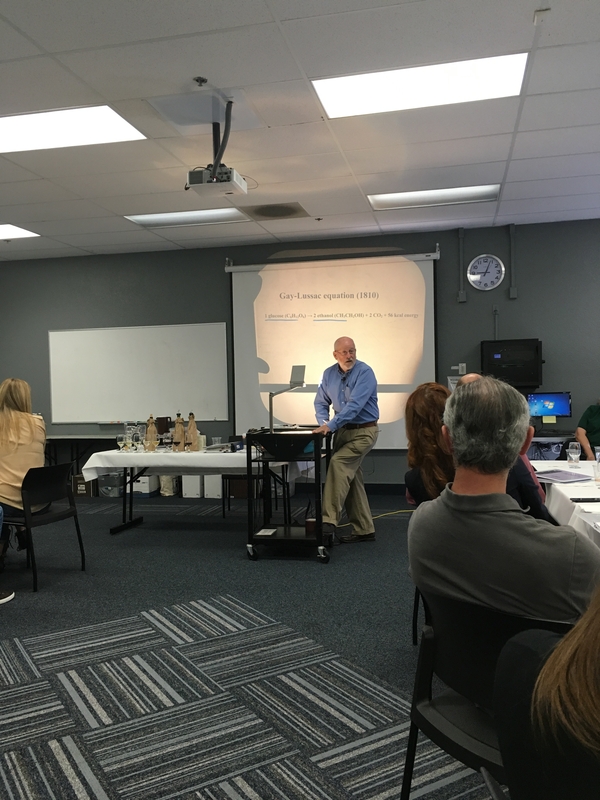 of Wine is taught by Professor John Buechsenstein of UC Davis. He is a delightful instructor, personable and knowledgeable. A winning combination. On our first day of class we were privileged to hear from guest speaker Dr. Hildegarde Heymann, also of UC Davis in the Food Sciences Department. She shared her wealth of experience and expertise to give us a crash course in our senses. Although the first feature we look for in wine is color, the taste is where it’s at. Taste is made up of both taste and smell. I knew the two are related but I didn’t quite appreciate how much so until I took this course. We have 5 basic tastes: sweet, sour, salty, bitter, and umami. Umami? What in the world is that? Umami is our most recently discovered taste that resembles a hearty broth or savory meat. The taste receptors for umami were discovered in the early 2000s, but the Japanese created the name umami 100 years earlier. Umami translated means “delicious taste”. Dr. Heymann told us that right now researchers are looking for taste receptors for fatty acids, and she believes they will be discovered in the next year or so. Who knew there was so much uncharted territory on our tongues? Remember when you learned about the different regions of the tongue in school, like which part of your tongue can taste bitter things and which part can taste sweet? Well hold onto your hats folks because tongue maps are a myth! Our tongues taste all flavors equally well from the front to the back, and from side to side. Now there’s a chapter in my middle school science textbook that’s in desperate need of revision. Surely we all recognize that we don’t all taste things in the same ways. We each have flavors that delight us and those that disgust us. And there are genetic reasons for many of these preferences. 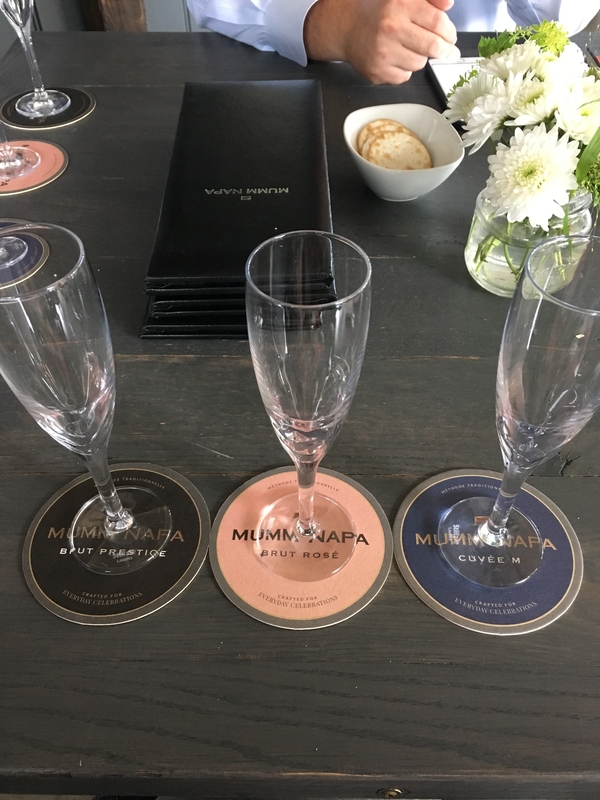 One reason is that some of us are – da, da, da-da – supertasters! No, this doesn’t mean our tongues can fight crime. But it does mean that for about 25% of the population, wine tasting is a hypertasting experience. Those of us who are supertasters, like Julie, basically have more taste buds and nerve endings than the average wine drinker, so we experience taste and even pain differently. Yet another problem we can blame on our parents. Ah well, at least there’s wine to drink! Wine Bloggers Conference, Here We Come! Author adminPosted on Categories DestinationsLeave a comment on Wine Bloggers Conference, Here We Come! 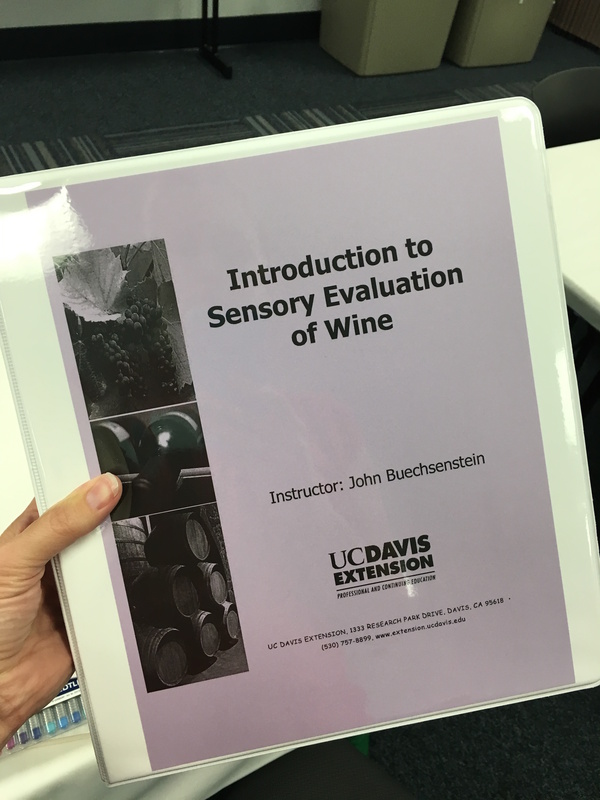 Today I (Julie) spent the day at UC Davis in the first of a two-day course called Introduction to the Sensory Evaluation of Wine. It’s been fantastic so far! 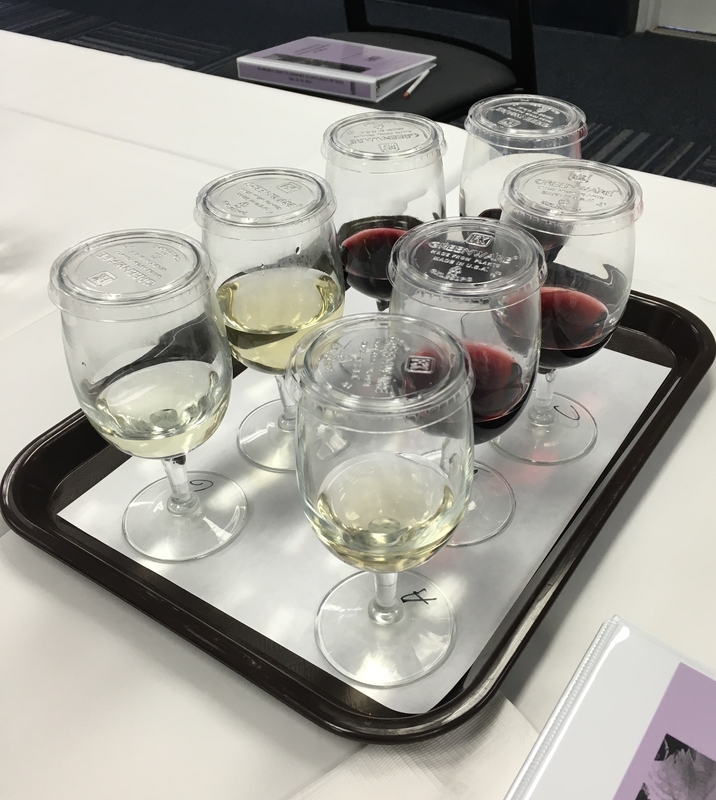 Not only am I learning so much about wine (exactly why I signed up for the class), I’m also overflowing with ideas for posts here at Valley Crush (exactly why I signed up for the class). I’m looking forward to sharing what this amateur is learning and hope it can help some of you who are just starting to appreciate the world of wines. I can’t wait for class tomorrow! Cheers!